My father called them “sidewalk superintendents,” retired guys perched on window ledges of downtown stores of my hometown. They showed up after coffee at the drug store to visit, watch traffic, observe. Roger Edwards Sr. and Freeman Frost knew everybody's routine, when they arrived at the post office for the morning mail and returned for the afternoon post. Yes, two deliveries in those days. After lunch they migrated to the pool room and took spots on benches against the wall. You'd think they'd run out of things to talk about, but when anyone appeared on the sidewalk or across the street at the courthouse there were new stories. Anyone walking into the courthouse was fodder for speculation. I loved those old guys and don't believe I ever learned anything from my contemporaries. An old man is full of stories, some wisdom on a good day, but a library of pranks. In the summer before beginning first grade I met Aunt Minerva Jane Keown (“COW-in”) Richardson, who was born in 1847 and my grandfather's aunt. She was eight years older than her sister, my great-grandmother. On that day she was 102 years old. Her husband, James, was forty years dead when she moved in with her daughter across the road from my grandparents. A small fire moderated a summer morning chill. She rocked, sending an occasional stream of tobacco juice into the fireplace. My father tried to induce her to speak into the microphone of a wire recorder but didn't get much. It was an opportunity to record an oral history and he asked good questions but her voice was thin, she was apprehensive, and the sound of passing traffic entered through doors and windows. My grandfather fleshed out the story as heard from his parents and grandparents. The rural folks trapped squirrels and rabbits for stew with wild onions and carrots, mountain cress. Aunt Minerva lived through and recalled events of history. She read of the development of the American West, remembered Native-American Oklahoma families visiting former Georgia homes, every war since 1861 and kept a sharp mind up to her death in 1950. During our visit she arose and moved to another rocker beside the family console radio. It was time for her favorite radio soap opera. 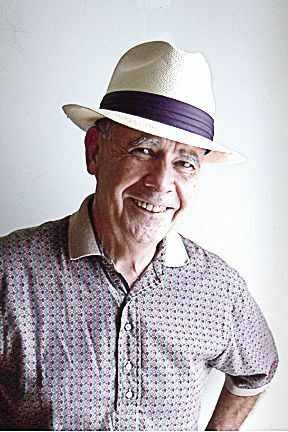 Joe Phillips writes his “Dear me” columns for several small newspapers. He has many connections to Walker County, including his grandfather, former superintendent Waymond Morgan. He can be reached at joenphillips@hotmail.com.